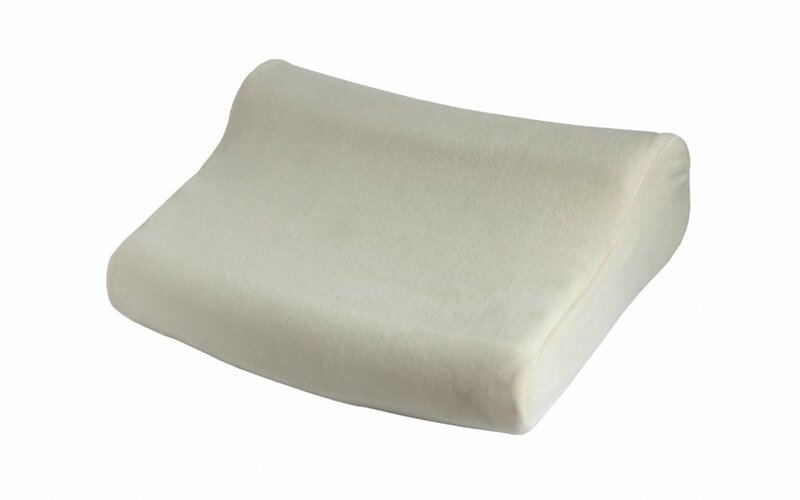 AT03001 Memory foam orthopedic pillow This pillow, made of thick viscoelastic memory foam, adapts perfectly to the shape of the body, provides good support for the cervical vertebrae, and prevents morning head, neck and shoulder pain. It helps prevent problems with the cervical section of the vertebrae resulting from remaining in an incorrect position for a long time. It increases sleep comfort. The pillow is shaped to support the head and neck, it has a decompression hole, as well as a series of grooves ensuring good ventilation and head massage. It is recommended in particular for people sleeping on the side. The rounded shape of the front part of the pillow reflects the head movement during sleep (shifting the head forward or backward). Dimensions: • length 44 cm, • width 30 cm, • height 7 up to 11 cm.